The Most Rev. 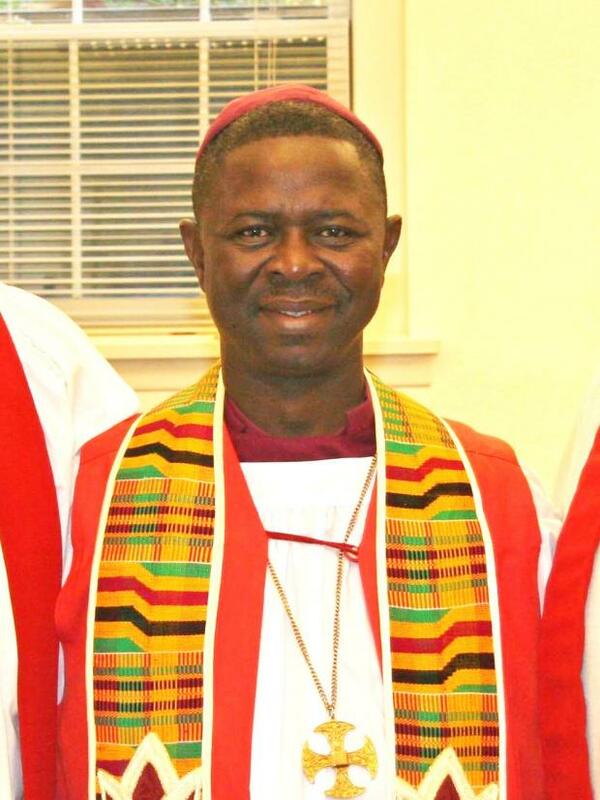 Daniel Yinkah Sarfo, Primate of West Africa, Archbishop of Ghana and Bishop of Kumasi. Born in Ghana of Asante descent, Archbishop Sarfo trained for the ministry at Trinity Theological Seminary in Accra and earned a Master of Arts degree in Mission Studies from the University of Leeds and a Doctorate in theology from the University of Wales, Lampeter. He was ordained deacon on 26 Aug 1979 and priest on 14 Sep 1980. He served in the parish ministry and as appointed arcing archdeacon of Sunyani in 1986 and canon of Kumasi in 1994. He served as a chaplain in the Ghanaian army rising to the rank of major at the time of his election on 20 Nov 1998 as third bishop of Kumasi, and was consecrated on 14 March 1999. On 29 Sept 2012 he was elected archbishop of the internal province of Ghana of the Church of the Province of West Africa (CPWA). Following the death of Archbishop Tilewa Johnson, he was elected 10th primate and archbishop of the CPWA on 13 March 2014.